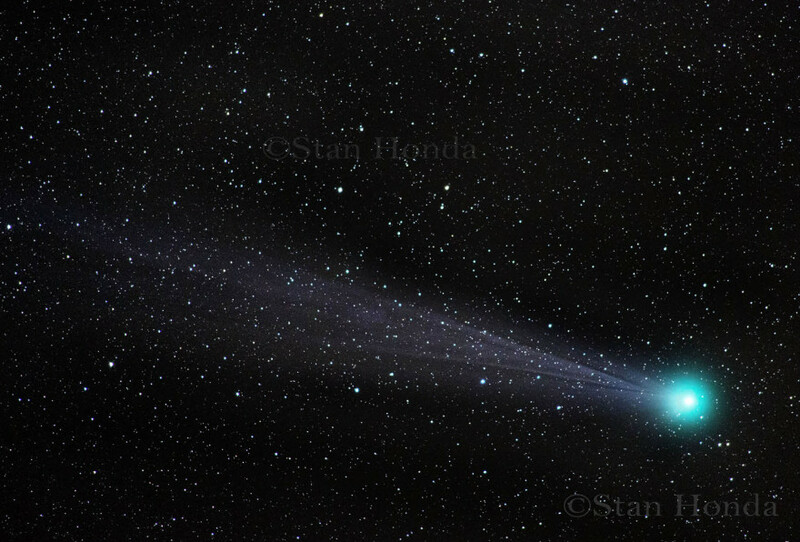 Barely visible in a dark sky, Comet Lovejoy (C/2014 Q2) was a pretty impressive photographic subject, its greenish glow and long tail producing startling images. Lovejoy made its appearance in the northern hemisphere in Dec. 2014 and brightened in mid-Jan. 2015 to be easily visible in binoculars and telescopes. I spent Jan. 14-19 shooting the comet in northern New Mexico with fellow amateur astronomer Rush Dudley and his trusty van. Thanks to Ron Moore for hosting us in Taos and for the location tips. 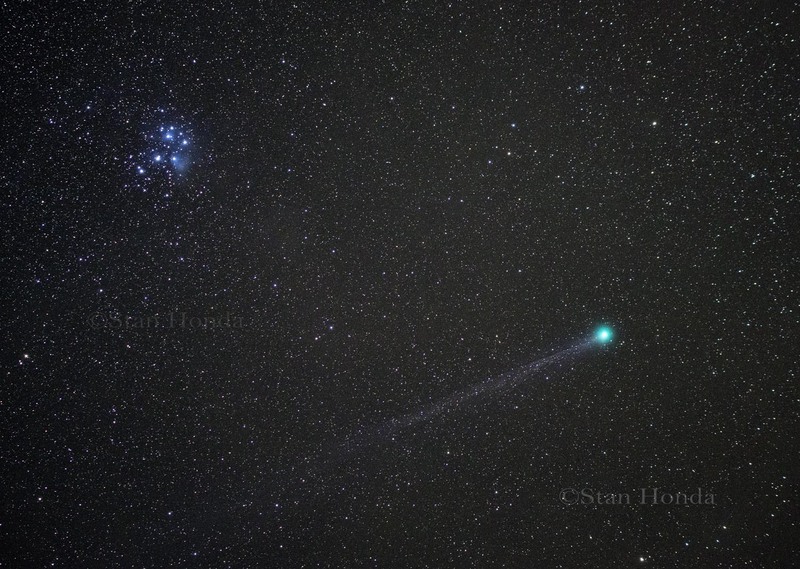 Around those dates Lovejoy began sweeping past the Pleiades star cluster, making it easy to spot and making dramatic photos of the pair of celestial objects. 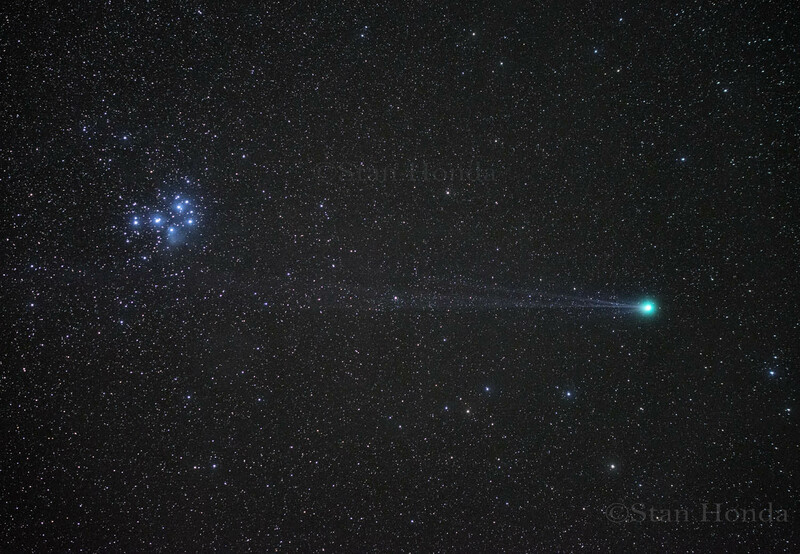 Lovejoy streaks past the Pleiades on Jan. 15. A telephoto view of the comet and detail in the tail. 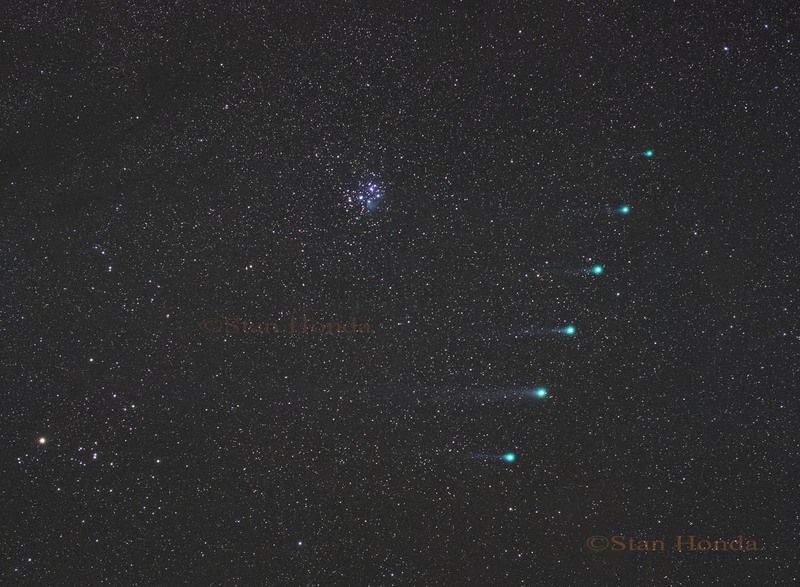 Three nights later on Jan. 18 the comet’s tail almost overlaps the Pleiades. 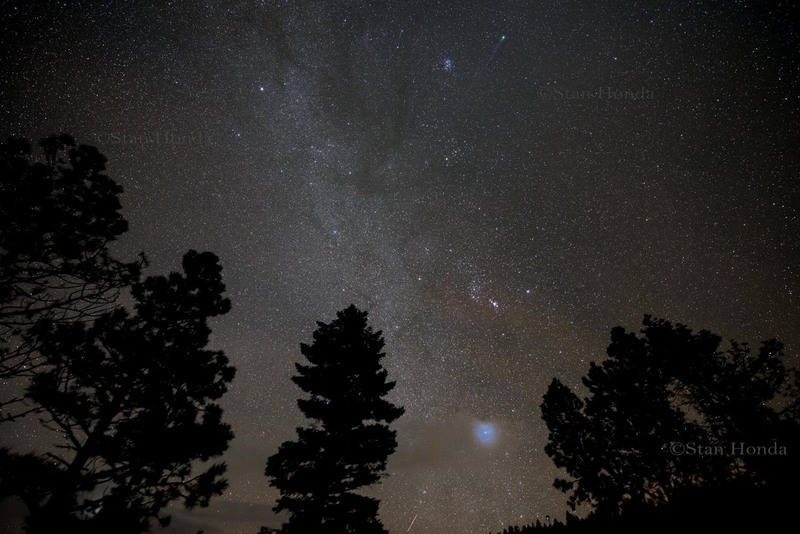 A wide view of the winter Milky Way and Lovejoy (at top of frame). The bright star Sirius glows through thin clouds at the bottom. Six days of the Comet: a composite showing the progression of Lovejoy over six nights from Jan. 14 (bottom) to Jan. 19 (top). The Pleiades are seen in the center, Aldebaran on the left.